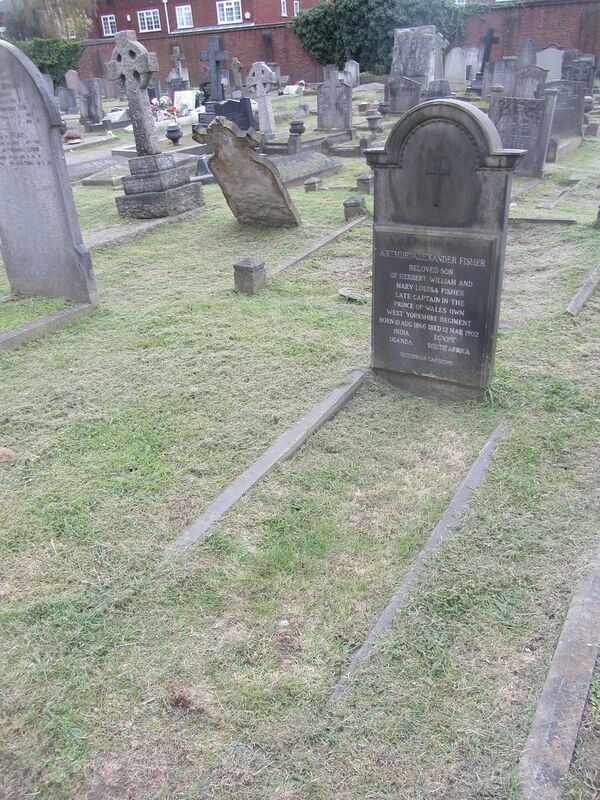 His grave, in Chiswick Cemetery, West London. FISHER. - On the 12th inst., of peritonitis, ARTHUR ALEXANDER FISHER , late Captain in the Prince of Wales's Own (West Yorkshire) Regiment, second son of Herbert W. Fisher, 19, Second-avenue, Hove. The death, from peritonitis, is announced of CAPTAIN ARTHUR ALEXANDER FISHER , late of the Prince of Wales's Own West Yorkshire Regiment, who served as a special service officer with the Rhodesian Field Force in the present campaign. 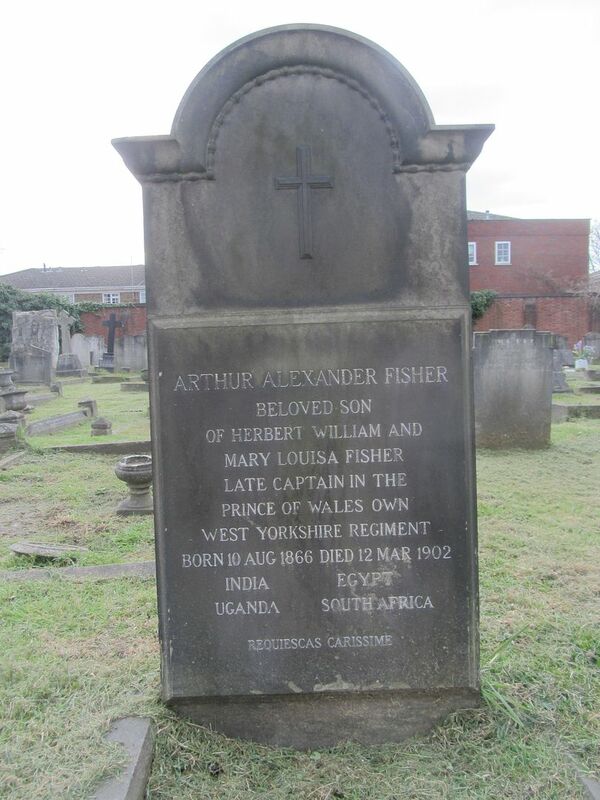 Captain Fisher, who died last Wednesday, in his 36th year, had the medals for Dongola, 1896, and Uganda, 1898.